Mirrors are one of those items that can be regarded as both an ornament and functional part of your home. Nevertheless, when making the purchase, most people consider only visual part. Functionality of a mirror is oftentimes neglected. It makes things even worse when you realize that most homeowners do not realize there are some big differences between mirror types. Some of them will be great for putting makeup while others are good for checking your clothes. No matter what, you need to consider everything before doing purchase. You just might buy something that won’t help you. 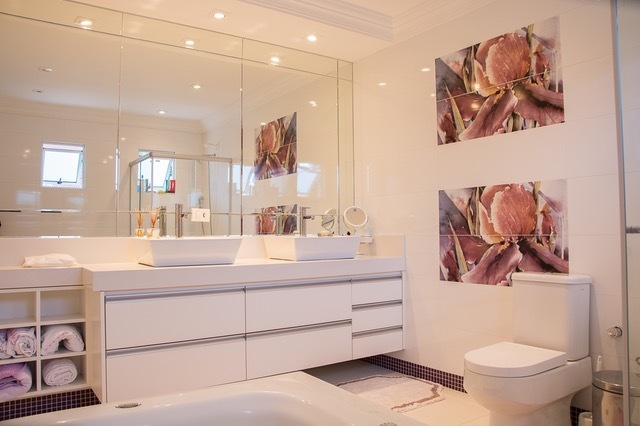 Ordinary wall mirrors are the most popular type of mirrors. They do not provide anything special except for their basic function and that is looking at yourself. For most people that is enough. But, if you need a mirror for some special purpose there are much better choices. Good thing about normal mirrors is that you can find them almost anywhere. They come in various forms and shapes and you will likely find something that suits you. In this case, person just needs something for his basic needs while placing emphasis on décor. LED mirror is a type of mirror that has integrated bulbs within it. This is a dual product that can stand alone. However, this is not the biggest advantage of an LED mirror. Due to its LEDs this product will save you a lot of money. One bulb can last up to 120,000 hours. This is an amazing save. On top of that, LED mirror helps illuminate your face. This type of mirror is very similar to LED mirror in a sense that it has bulbs around it. Although they both seem as a good fit for putting makeup (due to additional light) Hollywood mirror has a clear advantage. This is precisely why people often refer to it as the best professional makeup mirror. Hollywood mirror has nicely spread bulbs that light your face in the right way. Additionally, this type of mirror is a good fit for your bedroom. Although you can have an additional mirror in your bathroom you should definitely consider getting this one as well. By sitting down while you put makeup, the entire process becomes easier and more comfortable. Unlike Hollywood mirror, mirrors with hooks and shelf are best positioned in bathroom. In fact, they are tailor-made for bathroom and you most likely shouldn’t put it anywhere else. These mirrors have a shelf that is perfect for soaps, brushes, razors etc. On the other hand, hooks are great for towels that go below it. So, you can have a mirror and a towel hanger all at the same time. Sometimes, it can be really hard to find the right place for your mirror. Naturally, you will have one in your bathroom but that might not be enough as you still need one full-size mirror for checking your clothes. This is why standing mirrors were invented. Besides the obvious fact that this type of a mirror can easily be moved around, it is a perfect thing for homes that have limited space on the walls. You can put it in your bedroom and remove when you wish. It doesn’t even have to be a part of your décor. Instead, you can use it as a removable object. As you can see, it’s not so black and white. There are so many choices in front of you when it comes to mirrors and we hope you consider them all before making your next purchase.